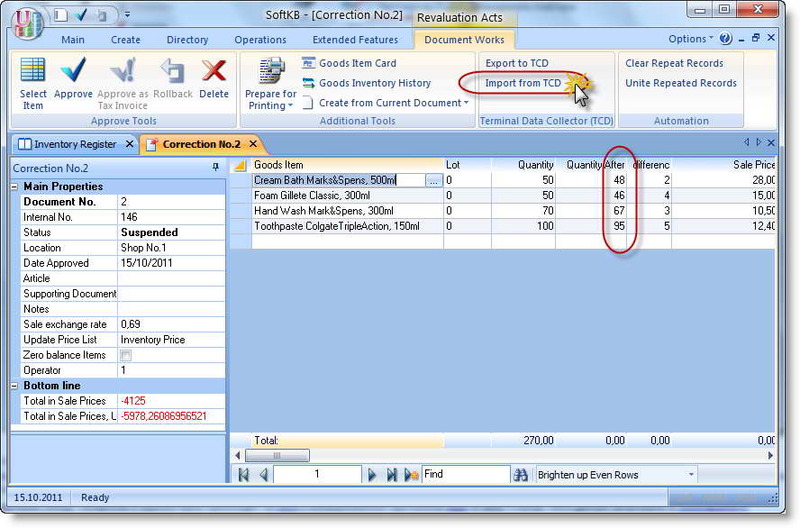 Describe how data is exchanged between the computer and data collection terminals. For their interaction is the application called Data Terminal Hosting. Load distribution application and open it. After installation is complete, run the application. Registration of the Data Terminal Hosting application use the standard way for the ANDRIY.CO products. 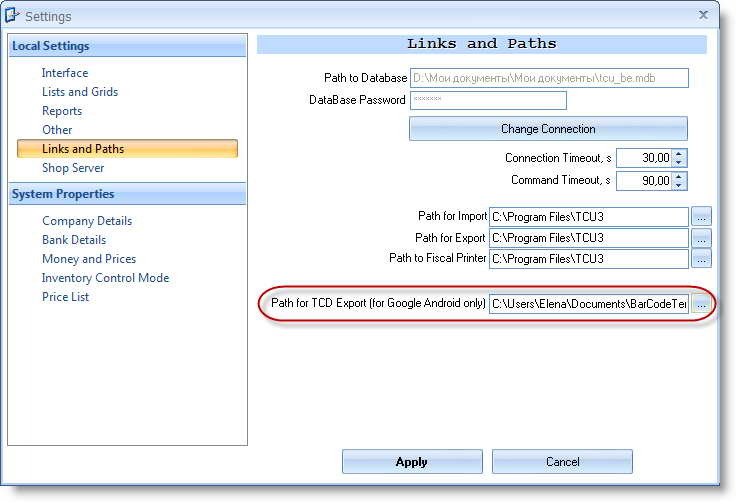 Open the context menu by right click on the application icon in the system tray, then select the "Registration» item. In the dialog box, copy the registration key. 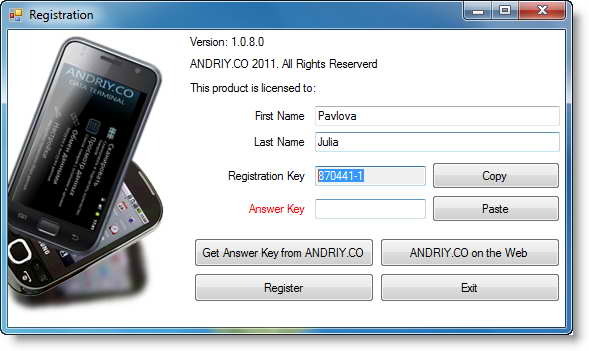 Go to the ANDRIY.CO online store and generate a return key, then insert it into the registration window. Do not forget to specify your first and last name before ending of the registration process. Further in the context menu choose Preferences. In the window that opens, find the IP address and port number, which must be specified in the terminal settings. Here you specify the path to the exchange of Data Terminal Exchange (by default, this folder is on drive C, in the folder "My Documents"). At TCU, under "Settings" you must specify the type of data collection terminal and the path to the exchange. At this stage of registration and setup is completed. 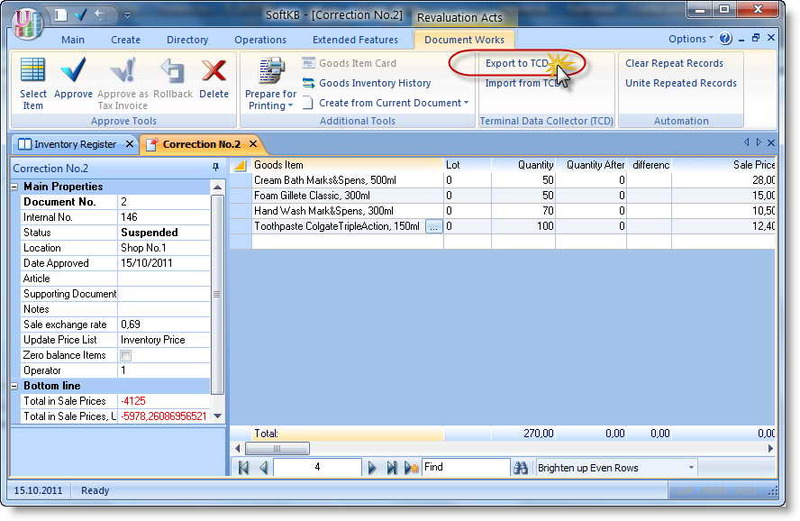 Now consider the process of exchanging data between the accounting system (computer) and the terminal. First we need to prepare a directory with names, prices and bar codes to load into the terminal. In TCU create an act of converting residues, makes the necessary headings. Then click on the button "Upload a TSD. Through an act of conversion balances system generates the xml-file and places it in the folder sharing Data Terminal Exchange. In your Data Terminal Exchange are two files: InventoryListToTCD.xml and InventoryListFromTCD.xml, which describes the table structure and data directory. consider how to load the data directory directly into the terminal. When selecting a terminal menu item "Load data into the terminal, the application refers to a computer specified in the settings of IP address and asks for data to download. Here comes the application to Data Terminal Hosting. Upon receiving a request, the application accesses the folder Data Terminal Exchange and downloads data stored in a file InventoryListToTCD to his memory. Loading data going line by line, the process in real time can be seen by opening the monitor window Data Terminal Hosting (Context menu "Monitor"). From Memory Data Terminal Hosting Directory is loaded into the PDA. It should be noted that when data is entered into the terminal, the number of each item is reset to zero. 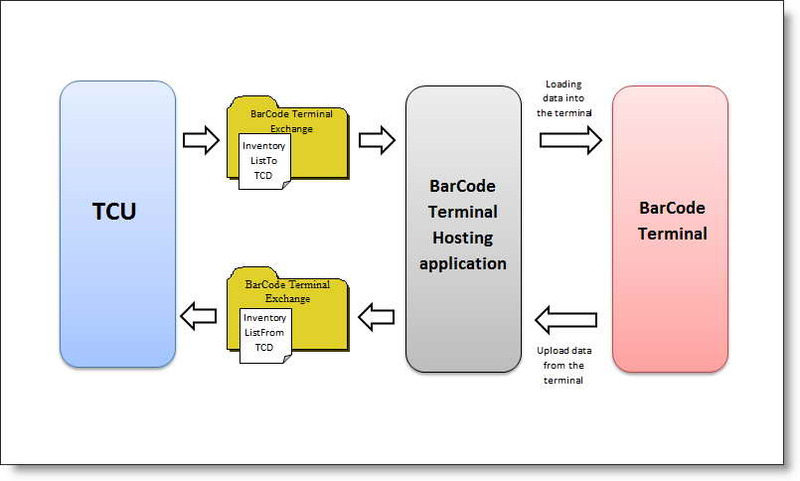 work with the terminal (scan a barcode, input the quantity of goods in the terminal, counting the number of goods) is described in detail in a previous article . For clarity, scan and count the number of headings. proceed to step unloading counted cash balances into a computer for further processing. export data from the CCP is similar load, only in reverse. When you select the application menu of the terminal point "/ export data from the terminal" is being accessed to the computer, Data Terminal Hosting receives data from the remnants counted and unloads them to a file InventoryListFromTCD.xml. At TCU, the window of the Act converting residues click "Load from TSD. In the column "Number after" affect the number of counted cash balances. It remains to act conversion of residues in normal mode. The installation process will be required . Net Framework 4.0 on your computer. If the Framework is not installed, the installer will notify and offer to download and install the Framework through the Internet. You must to agree. Communication between the PC and the phone is on Wi-Fi or the Internet using the Rest protocols. 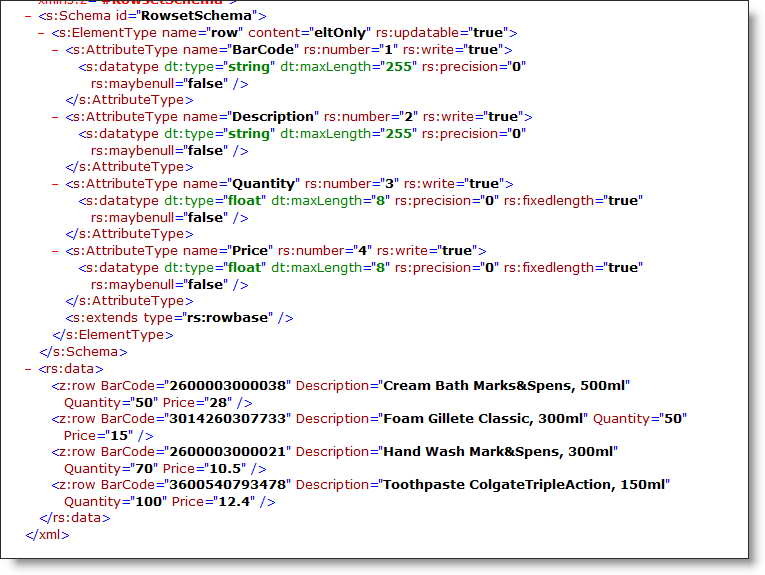 The data packaged into a JSON-format . By default, the exchange between phone and PC goes via TCP / IP - port 9002 If your computer Firewall is on, you must allow the transfer of data through the port 9002 in your firewall. 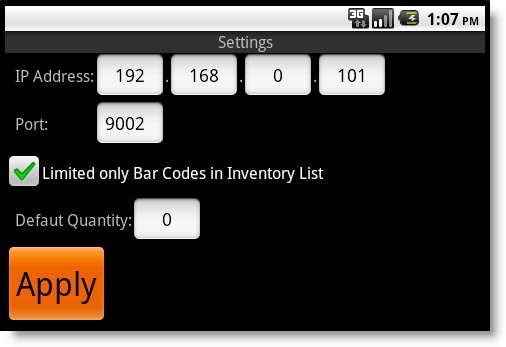 You can use with single BarCode Terminal Hosting so many phones as you wish. 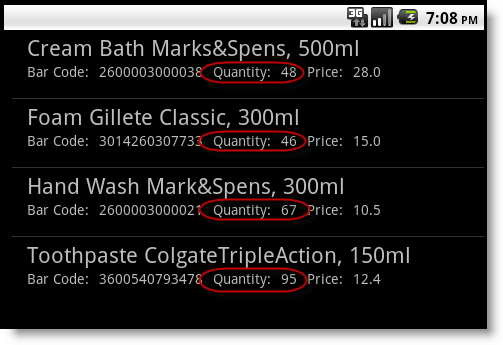 BarCode Terminal for your Android phone is free and distributed by the Android Market . BarCode Terminal Hosting, which is installed on your computer is chargeable. Exchange data files between Data Terminal Hosting and accounting system save the data in xml fromat. You can download samples from here.